The Republican beat Democrat Billie Sutton to become the first woman elected to the state’s highest office. Republican Kristi Noem beat out Democrat Billie Sutton in the unexpectedly close South Dakota governor’s race, and she will be sworn in next year as the first woman elected to the state’s highest office. 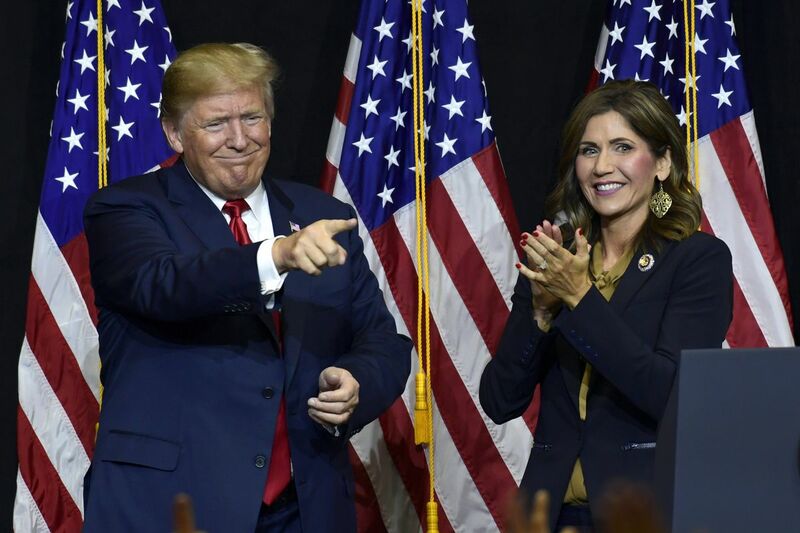 Republicans have held the South Dakota governor’s mansion for decades — the last Democrat was elected all the way back in 1978 — but Noem will still make history in 2019 as the first female governor. After eight years in the US House, she was one of the rare high-profile Republican women seeking a promotion in a campaign year defined more by the enthusiasm of Democratic women and the proliferation of Democratic female candidates. Sutton made a race of it, leaning into a record of public service as well as his history as a professional bronco rider, a career that left him paralyzed. He also holds right-leaning views on gun control and abortion, which helped in a solid-red state. The Democrat surged in the latter part of the year, polling neck and neck with Noem, but fell just short on Election Day. Noem voted in favor of Obamacare repeal, punishment of so-called sanctuary cities, and the Republican tax law while serving in the US House. She campaigned on keeping taxes low (South Dakota is one of a few states with no income tax), cutting government spending, and introducing more government transparency. Republicans in the state legislature voted last year to undo an anti-corruption plan approved by voters in a ballot referendum. The newly elected Republican opposes Medicaid expansion; South Dakota is one of 19 states to refuse the expansion, which would cover more than 40,000 of the state’s most vulnerable residents. The current Republican governor, Dennis Daugaard, has said that he supports Medicaid expansion, but the issue has gone nowhere because of opposition in the GOP-held legislature. That is likely to remain the case under Noem. She is also a fierce abortion opponent, with an A rating from the National Right to Life movement during her time in the House. Republicans in the state recently passed a bill to require women to seek more counseling before they get an abortion. Noem was one of the most notable Republican women seeking higher office in the midterms, an election year characterized more by a historic gender gap in favor of the Democrats. Others included Rep. Marsha Blackburn, running for Senate in Tennessee, and Rep. Martha McSally, who sought to replace retiring Sen. Jeff Flake in Arizona.